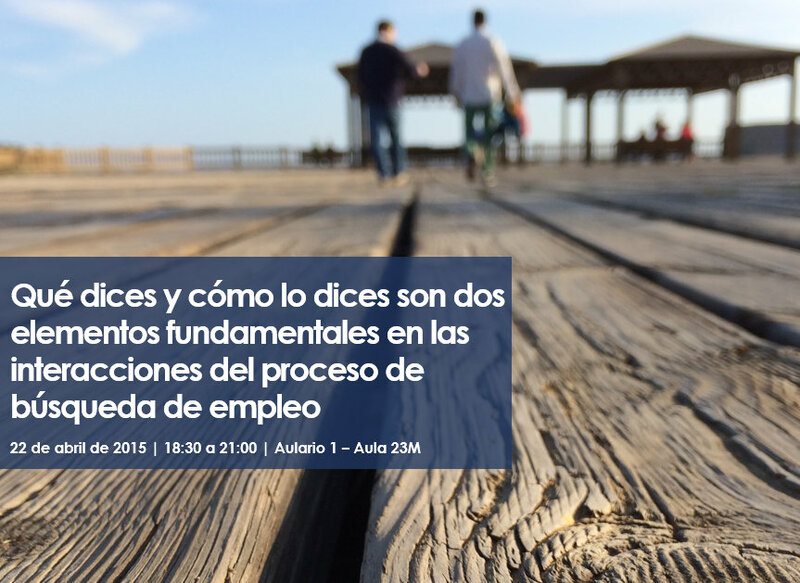 Within the framework of the program improving your employability, next April 22, 2015, from 18:30 to 21:00, in the Lecture 1 - classroom 23 M, will conduct the session what you say and how you say it, are two key elements in the interactions of the job search process. The session will be given by Laura Sirvent, a degree in psychology from the UMH and Master in management of human resources by Fundesem, he has developed his professional career in the field of human resources in national companies and international, where managed the areas of recruitment, training and development. Currently specializing in selection skills in a multinational sector fashion-retail.